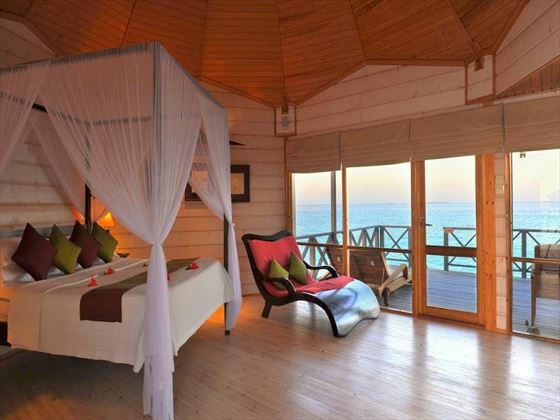 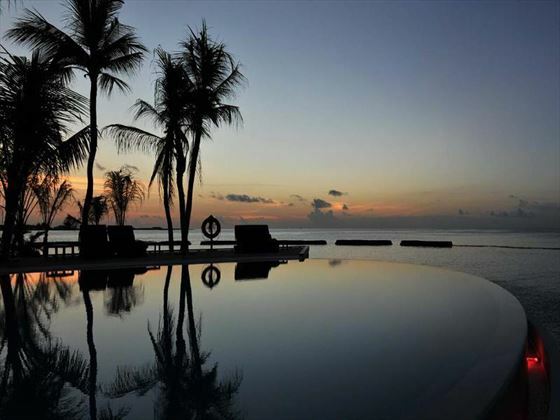 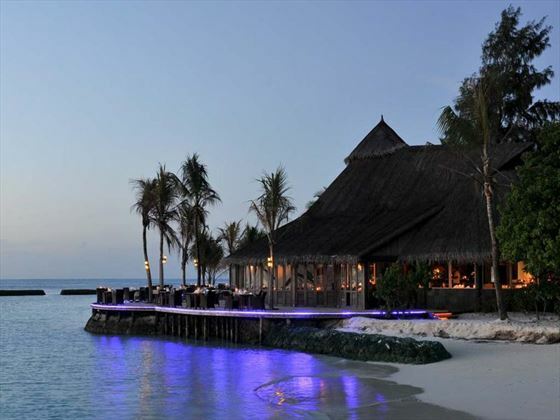 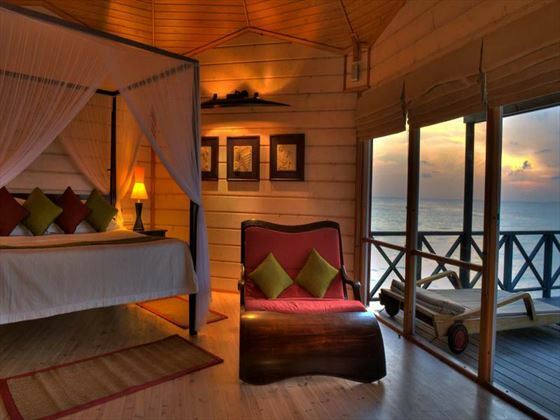 There are few things more idyllic than a Maldivian resort on its own private island. 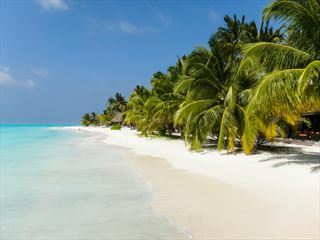 That’s exactly what Komandoo provides; a ring of silvery white sand, surrounded by miles and miles of divine turquoise water. 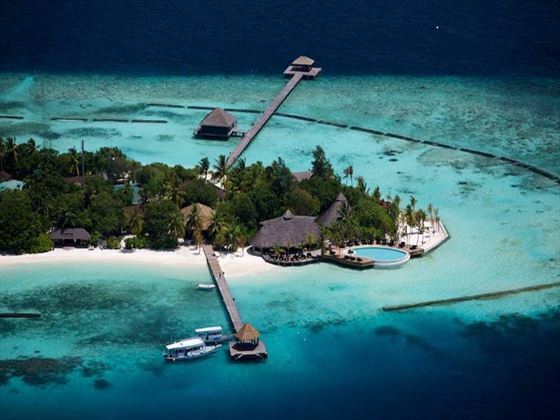 Komandoo is found in the Lhaviyani Atoll – you’re delivered to the resort from the airport via a 45-minute scenic seaplane ride. 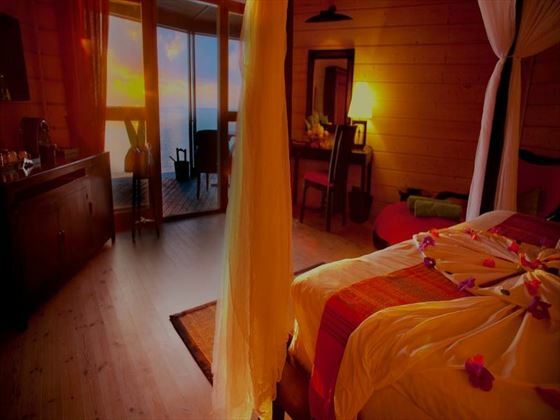 The adult only resort has a very secluded and romantic feel, making it absolutely perfect for couples looking for a relaxing and luxurious getaway. 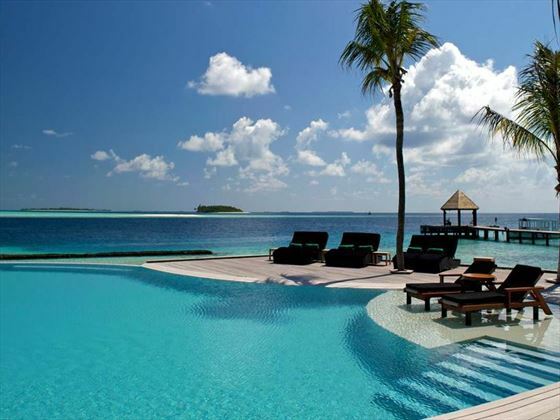 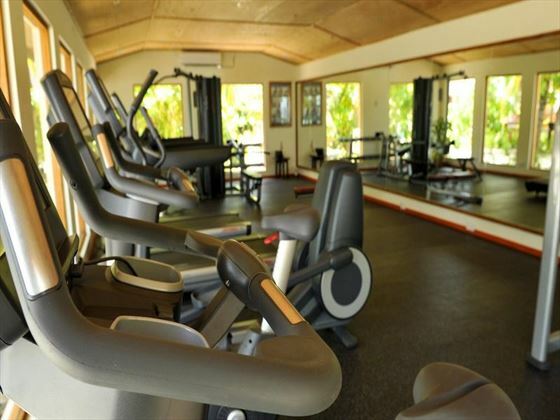 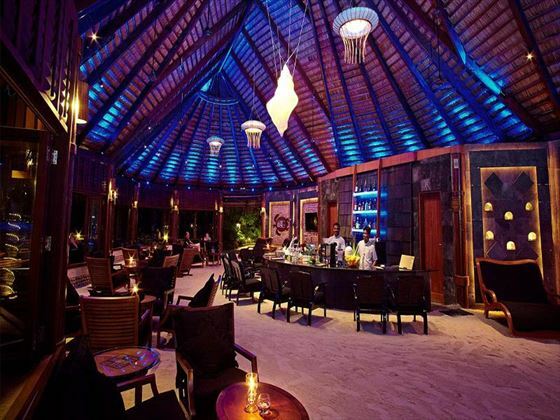 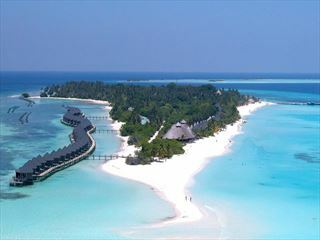 Based on the beautiful island of Komandoo, the resort is found in the north of the Lhaviyani Atoll in the Maldives. 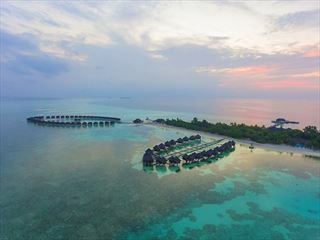 Komandoo operates +1 hour ahead of Male for daylight saving time, your onwards seaplane to Male Airport will reflect Male time.